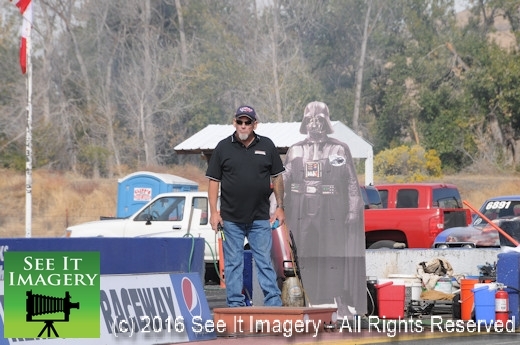 16 Aug 2017 Yakima, WA – Going to Renegade Raceway from here in Enumclaw has a couple of options. Going up over Snoqualmie pass on I-90 is the common path most folks will go, and this is true because the early drag racing season begins there. Summer time though you can head right out of Enumclaw on Hwy. 410 for the slower but much shorter drive over, and a whole lot better view as you climb around Mt. Rainer. Near the summit you can stop at and enjoy Tipsoo Lake with the mountain in the background. Cresting the pass and now in Eastern Washington, coasting at 50 mph on the newly surfaced roadway though off in the distance smoke is filling the sky. A couple of months of no rain and high temps have made everything tinder dry. When you approach a temp sign “smoke over roadway” you know you are getting into it. Passing thru and seeing how close the fires were to the roadway and the helicopter with water bag just over your head now you know how lucky you are to have gotten thru as the emergency and local officers had started the closure process. Lucky me now on to Renegade. Never having been to this event I had a few hours to spend with no real agenda in mind. 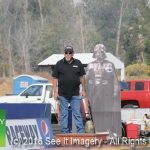 It’s always good to go over and watch Derrick Snelson and his “Warhawk” jet funny car and a much better treat was to see Ed “The Outlaw” Jones and his wheel standing “Stage Coach”. Fresh off running at Firebird Raceway, The G-Man nitro funny car all here to put on a show for the many folks that come out on a Wednesday night. 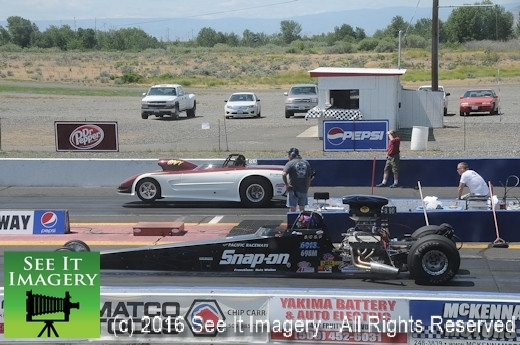 Combining a “box-no box” race and a test and tune gave everyone plenty to take in. Got to thank Sara and Derrick and crew always good to see you there and for everyone else check the Renegade website for the date next year for a hot August night. Images of all the racing and some great shots of the Mountain and the action on the drive over are now available – click here to go to the photo album. 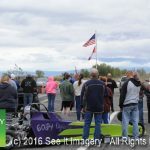 28 May 2017 Yakima WA – Kicking off the 2017 Memorial Day weekend was The 7th Annual Dee Adams Memorial Fire & Thunder at Renegade Raceway. Mother Nature’s blessed all to the “fire” of the sun and not the “thunder” from the skies. This is primarily a night time race track as the desert heat is not at all fun to play in, not the beach here to cool off in. With lights on a property that has no curfew running late into the cool of the night has its perks. 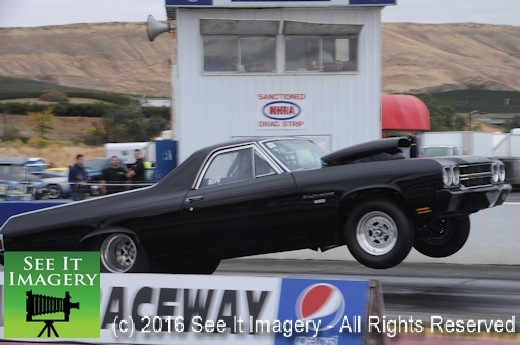 Watching and listening to jet funny cars in the dark of night throwing flame and sound will capture your senses. 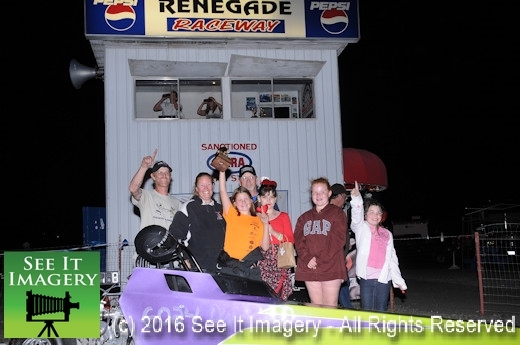 Many more race dates are set to catch night racing in the desert, check the Renegade Facebook or Web page for info and race results. 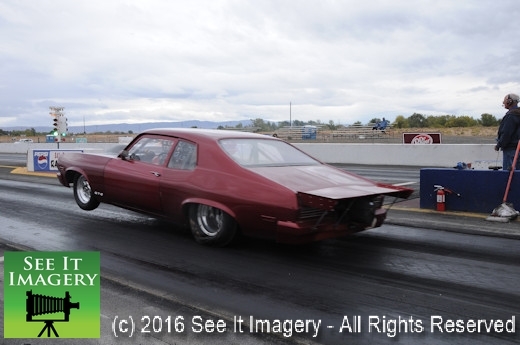 Sunday did bring about a pair of winners in what could be called the “Dalrymple Double” as Josh and Michael collected the trophies in Super Street and Super Comp respectfully. 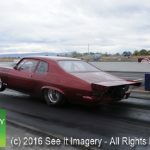 Can they do it again June 10th at Pacific Raceways, come on out and cheer them on. For two days of images, with lots of great and unique shots click here to go to the photo gallery. As always, thank you very much for your support and purchases! 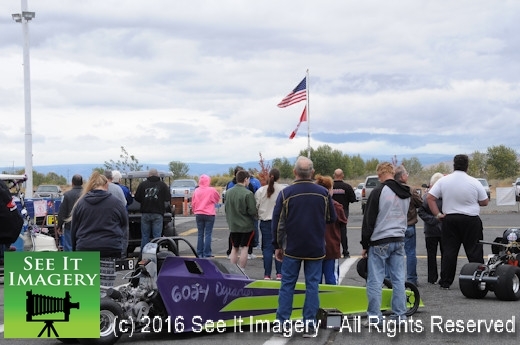 09 Oct 2016 Yakima, WA – Drag racing at its core is every bit a family affair. Toss in Halloween and it shows even more. 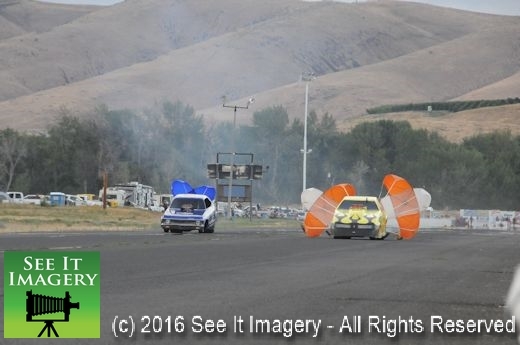 The gathering of families for the Trick or Treat Shootout combined with the Super Quick and Jr. Championship Series had them at Renegade Raceway in Yakima, WA for a weekend of racing and champions crowned. Racers from all over the northwest and Canada were running for the trophies and better yet the coveted “Wally”. 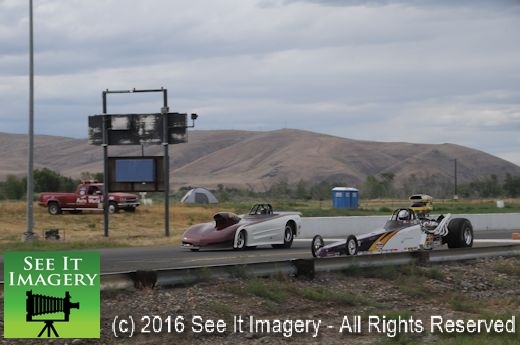 Racing into the darkness Saturday enhanced the excitement for many a Jr dragster driver, building to what in the end was that “Wally”. 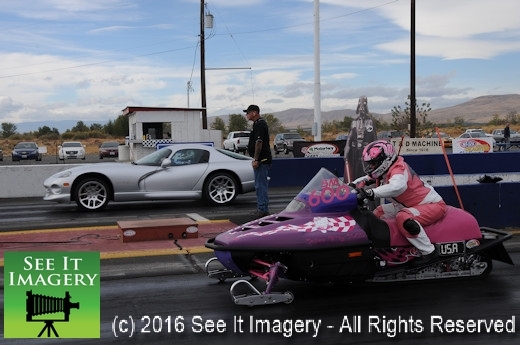 Dylanie Petersohn just nine years old came in a borrowed car after hers expired at her last race in her first season of racing captured that gold hardware. 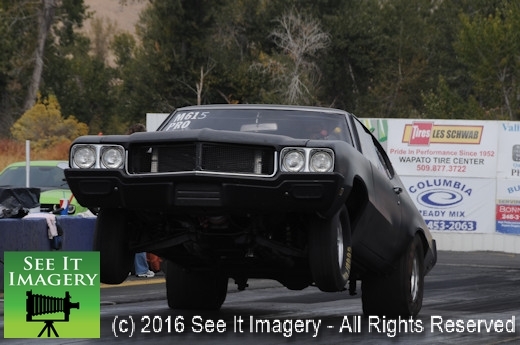 A feat as most all would say is not easy to do and shows the talent and composure the drivers have at her age while competing in Jr. Thunder. In the Jr. 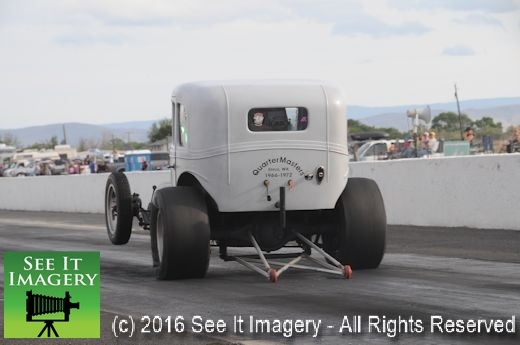 Lightning class Nathan Watts threw down reaction times that all started with a zero and put a .001 on the board on a single in round two on his way to the “Wally”. 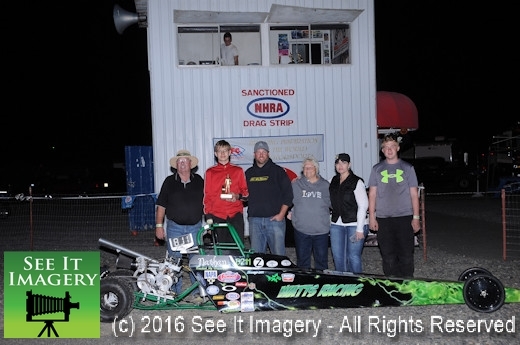 Picking up the “Wally” in the Malarkey Roofing Products sponsored Superquick Series Andy Schlenker outlasted the field in his Mullis dragster. On to Sunday and the quest begins again for the hardware though unlike yesterday today the weather became a major player. After two rounds in the books the powers that be had to pull the plug as “Mother Nature” became the winner this day. This forced Division Director Matt to go to his laptop and put a “championship” stamp to the series. In the end Don Sefton in “Super Quick”, Tiffany Howe in Jr. Lightning and Cooper Chun in Jr. Thunder were crowned “Champions” for the season series. 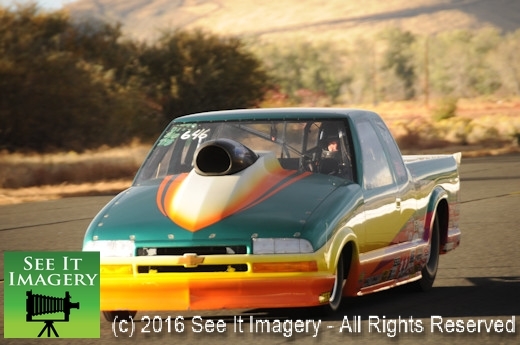 To all that came for the weekend look forward to next season and this event at Renegade Raceway. 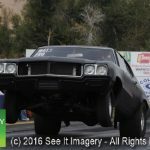 An Event folder has been created with two albums worth of images available, one for Saturday, and the other for the Sunday action. Click here to go to the photo albums.